What messages am I hearing every day at #ILA15? What treasures remained from Saturday’s sessions at #ILA15? Mentor texts in the form of fiction and nonfiction picture books provide teachers with a powerful teaching strategy to help students of all ages learn to write. Good models come in many forms: picture books, chapter books and everyday texts that allow students to study craft techniques in order to create their own strong writing using the writing process. Ruth Culham shared some of her beliefs about mentor texts that are elaborated in Writing Thief. 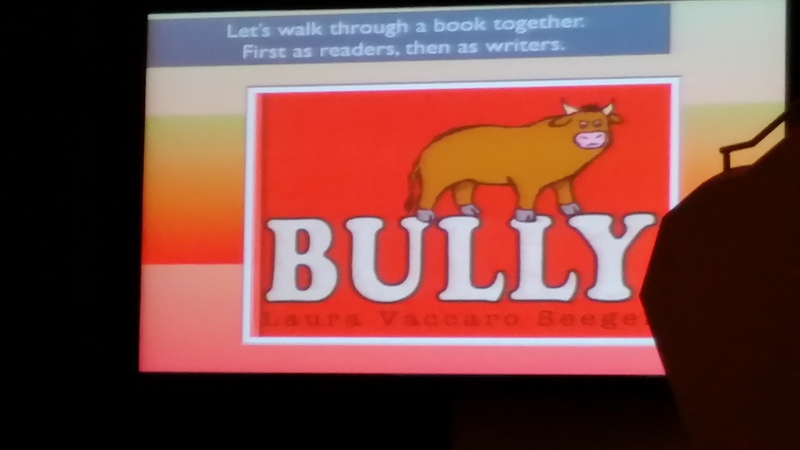 She read Bully to us as we focused on the reader’s view and then had us “re-read” paying attention to the author’s craft and studying the writing as an author. She also shared a video from the author about the book. Her text includes Author Insights from: Lester Laminack, Lola Schaefer, Nicola Davies, Toni Buzzeo, Ralph Fletcher, David Harrison, and Lisa Yee. 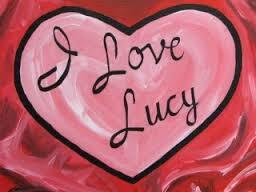 Kate Messner shared her writing mentors: Beverly Cleary and Judy Blume. They taught her how to read like a writer and how to find mentors on her own bookshelf when there were not live mentor authors in her hometown. Kate also shared that her own daughter knows how to find mentors. Merely by asking, “How are you doing that?” she found her own hula-hoop mentor. We should use that question with students and encourage students to query authors using that question to grow their own knowledge of the skills and strategies that authors use. Kate reminded us that mentor texts are found in the books that we love, so students who are readers will also have the background necessary to be a writer! 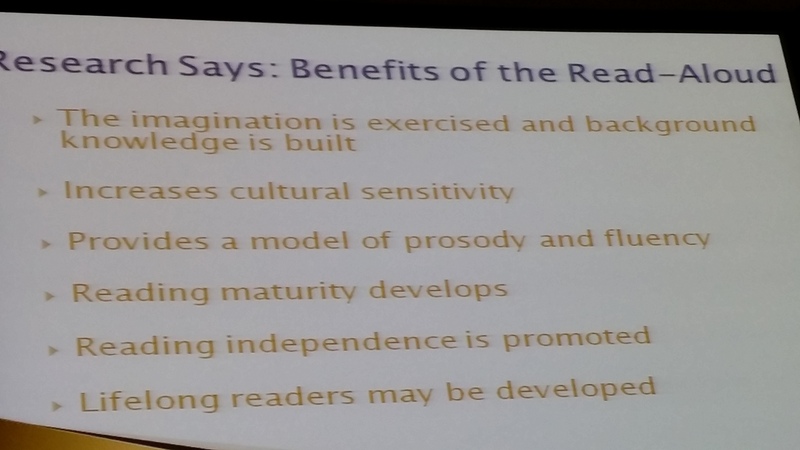 Lester Laminack wants Read Alouds to be FUN for students. He does not want every Read Aloud to be an “interactive read aloud” and even said that you can only “unwrap” the gift of a book once – let kids get lost in the story the first time. Lester is fun, funny and literally pulls no punches. My favorite quote was that “Read Alouds should be like drug dealers: deliver a little somethin’ somethin’ today, then come back tomorrow and deliver a little more somethin’ somethin’ on a schedule.” Showing up, delivering, creating a deep need and continuing to meet that need. Read Alouds feeding the soul. Read Alouds helping students grow. Take Away: Mentors are all around us: books, authors, teachers, and yes, even students! 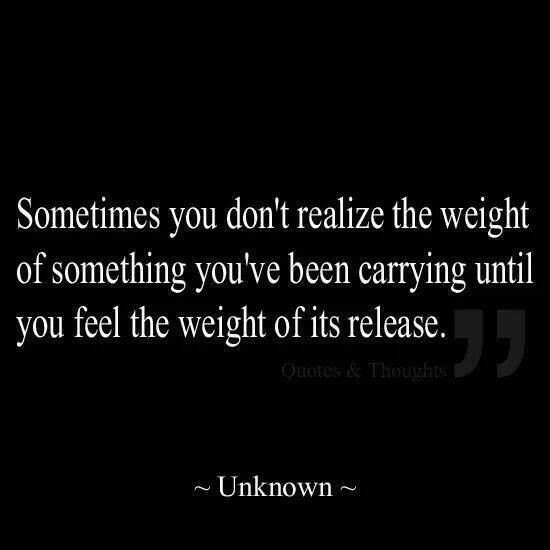 Choose and use wisely! Steven Layne literally had to stop his presentation to wipe the tears, from laughter, from his own eyes. Steven provided an overview of some of the instructional highlights from his book. Chapter one, In Defense of Read Alouds, is basically an overview of Why Read Alouds are needed. This is one of two slides listing benefits. Launching a book requires intentional planning. Teachers carry an invisible backpack that includes their schema, but care needs to be included in developing schema with students. An example that Layne used was The Giver which would need two and a half 40 minute class periods to launch WELL! It’s a complex text. 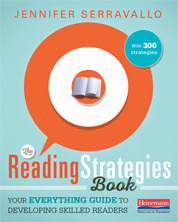 And if you are relatively new to Read Alouds, you may want to check out chapter 4, “The Art of Reading Aloud”. Take Away: All students deserve carefully planned Read Alouds that introduce them to all genres of texts in order to find personally loved texts. Hundreds of teachers attending a session at this hour of the day on the first full day of the conference? REALLY? Jennifer Serravallo masterfully led us through some possibilities for instruction and conferring to meet student self-chosen goals. With accomplishment of these goals, students will also increase their motivation to read and their student reading growth. How much time is spent on reading? Great questions that can jump start student reading! I love this look at Hattie’s rating scale. It’s a great visual to remind us of the importance of that .40 effect size lynch pin (the light blue area). 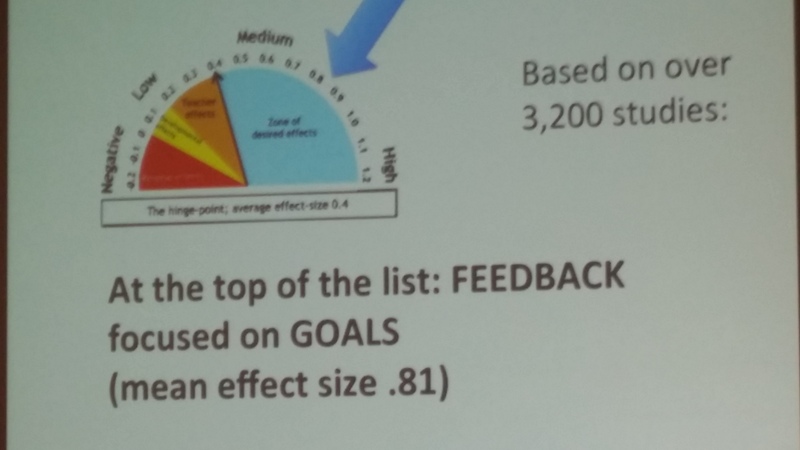 Kids need to read a ton but with goals and feedback they will be successful. Jennifer referenced some of the visuals from her book. As with her previous texts, Conferring with Readers, Teaching Reading in Small Groups, The Literacy Teacher’s Playbook K-2 or 3-5, I knew this was a great book but I have an even greater appreciation now that I understand the depth of care and attention given to each of the strategies. I also believe that we need to “Teach strategies based on student needs – not just off of Pinterest randomly”. And the fact that we need to use common language in our buildings that matches the assessment language was clearly explained with “not slip and slide that may have come from Pinterest.” We must work on consistency of language in our classrooms for STUDENT success, not just because “I like this idea that I found somewhere”! Student learning is at stake! Prompts fit these basic five categories. Do you know the differences? When and why would you vary your use of these five types of prompts? This is a great text that is going to be so helpful for teachers!!! Take Aways: The goal of strategies is to learn the skill so well that the reader uses the strategy automatically on a regular basis! Students must be a regular part of goal setting! 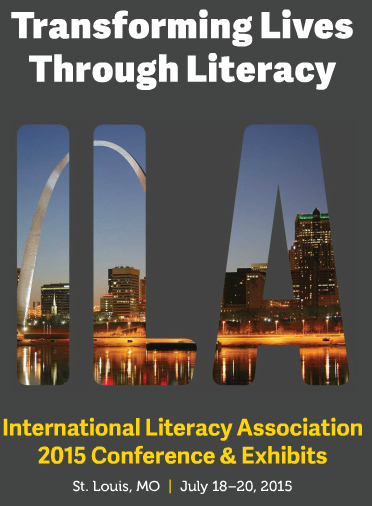 Many sessions still remain at #ILA15. Did you attend any of these sessions? 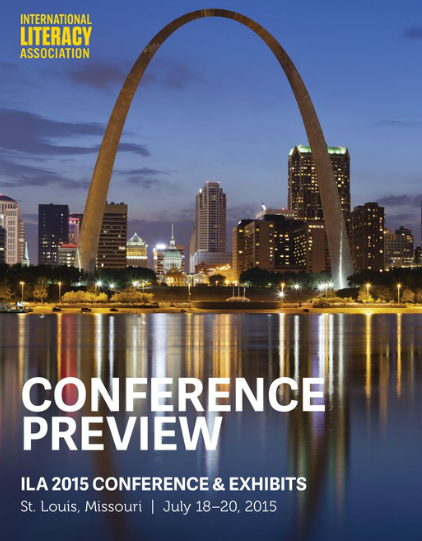 What are you hearing at #ILA15? 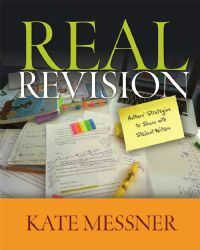 If you are still trying to figure out what it means for you as the teacher (instruction) or for the students (learning) or even to real-life authors, you need to check out Kate Messner’s book: Real Revision – Authors’ Strategies to Share with Student Writers. It’s written by a REAL teacher who is also a REAL author who has REAL practical, crystal clear examples. You can preview parts of the book online here at Stenhouse! Chapter 5: Real Authors Don’t Plan . . . Or Do They? Chapter 9: Are the People Real? Chapter 10: Whose Voice Is It Anyway? Chapter 12: Cut! Cut! Cut! 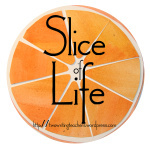 Chapter 15: What If the Writing Is Already Good? What grade levels would benefit from this text? This book is listed for grades 3-9, but it could work at any grade with some thoughtful planning by the teacher. The copyright is 2011 but the strategies will withstand time! theme – What is this piece really about? and what Lucy Calkins says here in “Being a Good Writer”?